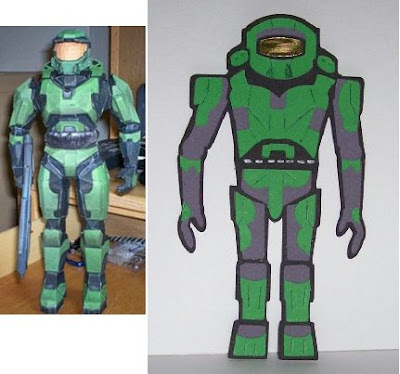 I have a teenage son who is obsessed with halo( game on computer and games consoles, so today i made a "Master Chief"
WOW!!! Susan, I just have to say how fantastic you are! What a creative mind to be able to break down these Robots into basic shapes. Rock on girl!!! Rock on!